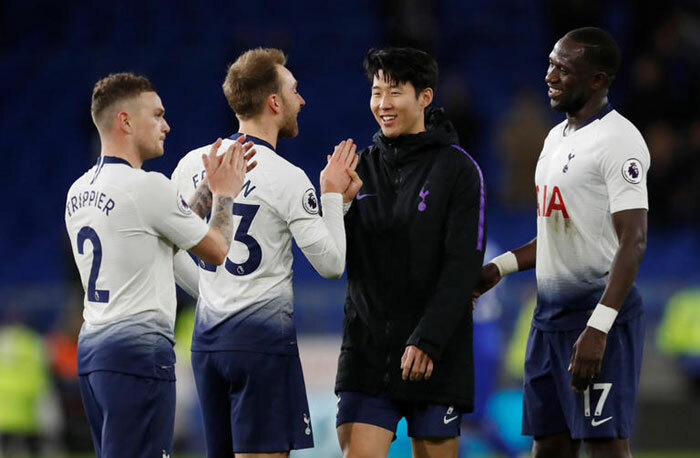 Son Heung-min of Tottenham Hotspur opened the New Year with a goal in an away match against Cardiff City on Tuesday. The goal came in the 26th minute to help Spurs' 3-0 victory. He also lodged an assist just before netting the goal. It was the fifth straight game in which Son either scored or helped one of his teammates find the back of the net. Son has scored 11 goals so far for Spurs this season.